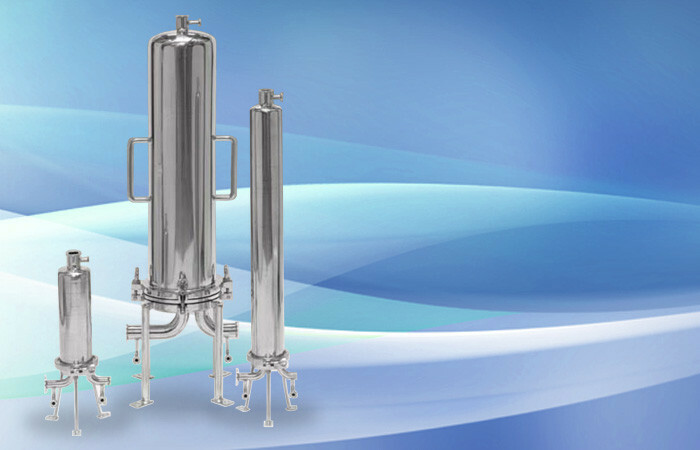 Neo-Pure SRA Series Sanitary Filter Housings are designed for critical applications where high purity and durability are a necessity. Neo-Pure SRA Series Sanitary Filter Housings are available in 222 or 226-style cartridge connectors. The wetted parts are manufactured with 316L electropolished stainless steel with standard 25A internal finish and 32RA external finish. Sanitary filter housings come in a variety of of sizing options. SRA Series Filter Housing design features come in either an inline single cartridge style or T-style with a tri-clamp closure for single cartridge housings and swing bolt closures for multi-cartridges. Standard option housings are in stock and ready to ship immediately.